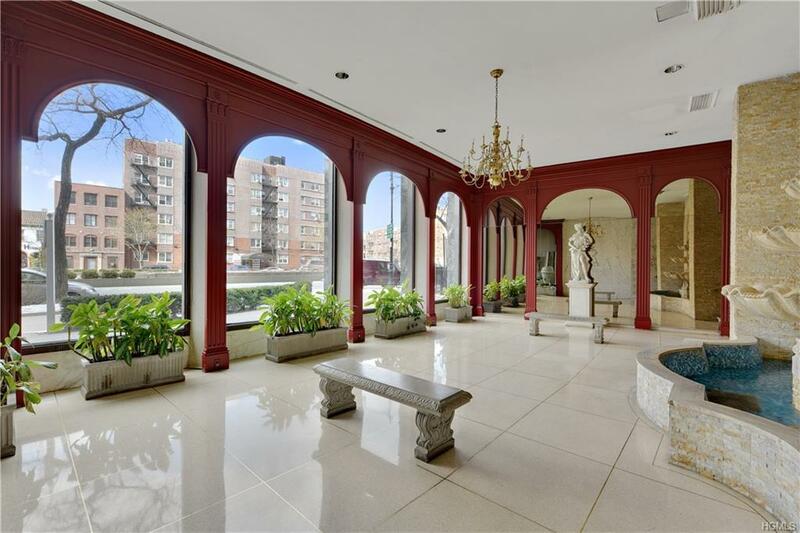 This spacious light filled 7th floor Executive Towers Coop in the heart of the Grand Concourse Historic District awaits it's new owner. Enter the building to be greeted by your 24/7 Doorman. Pause to enjoy the lovely lobby and fountain... On entry to the unit a huge closet provides ample space for outerwear plus more including shopping carts. To the left is the master bedroom with a 3/4 bathroom and it's own huge closet. To the right an expansive entry and livingroom welcomes you complete with a lovely view. 2 entrances to the kitchen,a full bathroom next to the second bedroom; total of 5 huge closets; modern kitchen cabinets with pullout shelves. 24/7 access to 2 laundry rooms. Enjoy an expansive balcony vista of the Grand Concourse and 165th Street. Cross the street to the Bronx Museum and Joyce Kilmer Park; minutes to Yankee Stadium, shops, trains, and buses. The unit needs TLC and Updating. ***SOLD AS IS***Board Approval Required. ParkingWaitlist.